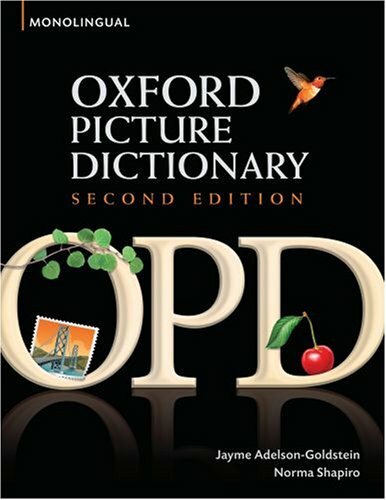 Oxford Picture Dictionary Interactive portable is a fully integrated vocabulary development program, progressing from essential words to the more complex, delivered in short thematic units. Realistic scenarios and modern artwork are easy to relate to and these, together with story pages and practice exercises, have been applauded for their success in promoting language skills. Content is fully supported by a range of components - including innovative digital tools for student practice, Interactive whiteboard presentation software, workbooks, classroom activities, audio and more. Build your students' vocabulary, reading and critical thinking skills. A richly illustrated thematic Dictionary with easy-to-learn vocabulary units supported by a full range of teacher and classroom resources. - Clear, vibrant illustrations define over 4,000 words and phrases. - Practice activities enable students to immediately use the target vocabulary. - Sub-topics organize words into logical groupings, making the new Edition easier to navigate through. - Intro pages, Story pages, and More Verbs and Phrases sections help learners improve their vocabulary as well as reading, critical thinking, and speaking skills. - A wealth of extra resources means teachers can use the Oxford Picture Dictionary as a fully integrated course. The full package includes lesson plans, classroom activities, workbooks, audio program, overhead transparencies, vocabulary teaching handbook, bilingual family handbook, test software, and a companion website.